This article was written by Young-sam Ma, the Director of UNITAR Cifal Jeju. It was originally published in the Korean language by the Jemin Ilbo on Dec. 14 2017. Do you remember the time when the Soviets and East Germans fiercely competed for the first place in the Olympics? The achievement of the Soviet Union, back then the USSR, was somewhat expected because it was a huge union of republics. However, the winning streak of East Germany, a mere half nation which was later absorbed into a united Germany, raised many eyebrows; its continuous victories shocked the whole world. Behind this strange phenomenon, there lies an obsession for Olympic medals within elite sports. Some countries provide their former Olympians with various advantages such as lifelong pensions and stable jobs as sports specialists or athletic consultants. Along with these benefits, the efforts and time invested to win the medals are also compensated. Unfortunately, the lives of a much greater number of athletes with no medals, however, have been ignored and overshadowed by the Olympic medallists. In Korea, some young athletes give up on their studies and devote their youth to sport. This practice sometimes leads to an embarrassing situation where athletes going for an away match struggle to fill out their immigration forms by themselves. On top of it, seeing the unreasonably low scores required for athletes to enter college should alert us that something has gone wrong with the basic education of athletes in Korea. Who is responsible for the lives of the athletes who are trained in such environment when they retire without any medals from major sporting events? It is necessary for them to acquire academic learning in addition to their sports experiences so that they have the basic knowledge needed to live as part of a community when they eventually retire from their athletic careers. For American college athletes, the situation is quite different. There are strict academic regulations that require those athletes to forfeit their sports career if they do not keep their academic performances. Due to the reason, when the athletes play away games, they receive support from academic assistants to maintain their academic performances. There has been talk of strict academic regulations to be introduced for Korean college athletes, which is good news for them even if it is quite late. To ensure that the Olympic Games are enjoyed by all citizens and move away from the obsession over medals, it is necessary to revitalize the popularity of recreational sports. In the case of neighboring Japan, the country showcased an outstanding record in the number of medals achieved over past Olympic Games, which was in line with its surging economic development. But after Japan was listed as one of the developed countries, their fighting spirit subsided and their competitiveness for Olympic medals stagnated. However, slowly athletes from community sports clubs were selected as members of the national team, so recreational sports became popular among citizens and the culture of local sports clubs was established. 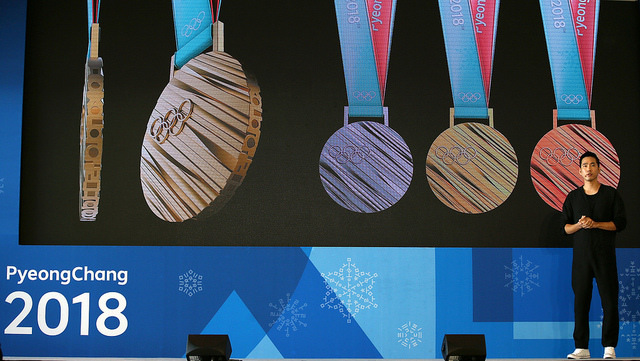 As a result, the number of medals acquired at the Olympic Games began to increase. What about the conditions in Korea? There are continuing efforts to combine elite and recreational sports but most Olympic athletes continue to be drawn from the elite levels. With the exception of some popular sports, there is a challenge in locating good players to be national team members. There is a Korean movie titled “Forever the Moment” about the women’s handball final match at the 2004 Athens Olympics between Team Korea and Team Denmark. The number of players who have joined the local handball clubs in Denmark is known to be about 120,000 among the population of 5.6 million. I wonder how many women handball players Korea has among the population of 50 million. The revitalization of recreational sports is one way to become a genuine welfare-based society. I, myself, had lived in Denmark for a few years and witnessed Danish people leaving their work around 3 p.m. and enjoying various sports at local recreation centers with their family and friends. Due to the high popularity and demand, the number of sport facilities continuously increased, and the membership fee seemed affordable to most of the people in the country. It was only possible because the Danish government provided infrastructure and policies to encourage their citizens to balance between work and family life. Moreover, following the path of a welfare-based society, medical expenses constituted a large share of the national budget, so the Danish government tried to reduce the expenses by encouraging their citizens to maintain health through playing sports. This is a successful policy case which we need to benchmark. Very soon the Olympic and Paralympic Winter Games PyeongChang 2018 will be held back to back. I hope the Games will be an opportunity for everyone to truly enjoy themselves rather than concentrating too much on the number of medals and the overall rankings. The Games’ true purpose is to let everyone appreciate the great performances of athletes and get to know their backstories in overcoming their difficulties while preparing for the Games. The real sport spirit can be revived only when the obsession with medals is overcome. When I came to live in Jeju Island, I came across a catchphrase, ‘Sports Mecca Jeju.’ This island possesses all the necessary characteristics for winter training camps, and the island managed to convene a PGA Championship which boosted its status as a popular venue for world sporting events. However, the natural conditions and the other human efforts have not transformed Jeju into a sports mecca just yet. Jeju needs to provide its islanders with venues to enjoy recreational sports, and elite sportsmen and sportswomen will be nurtured along the way. Moreover, the athletes in Jeju should improve their skills well enough to confidently compete with other national and international athletes. We need to break away from the old habit of being obsessed with medals and its colors; now is the time for us to reshape Jeju into an island of good sport environments rather than simply a place for winter training and championships.